License: The Personal version is free for non-commercial use. The Premium version is commercial. Win2App is a Windows application for creating web pages optimized for displaying on smartphones. 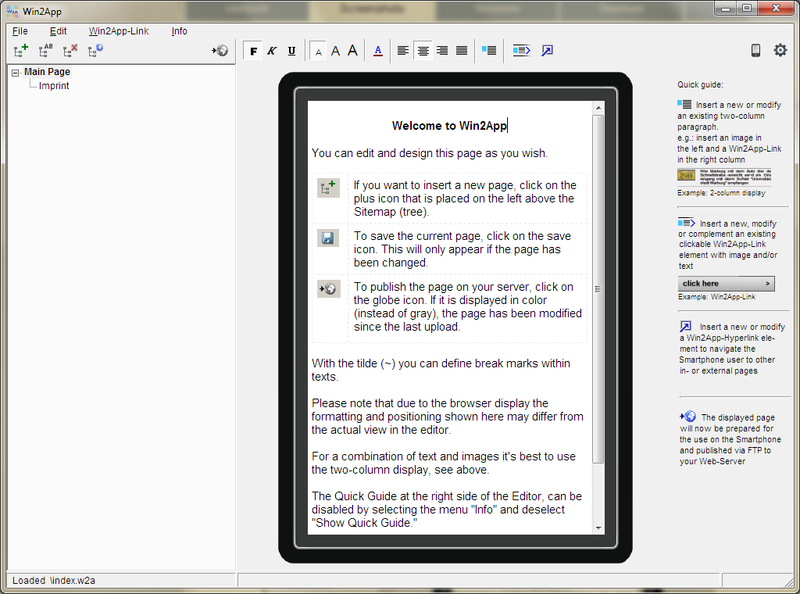 Win2App uses TRichViewEdit as a WYSIWYG HTML editor. Win2App offers full data control through local data storage (page drafts, configuration). Web pages can be published on the user's server via an FTP upload.